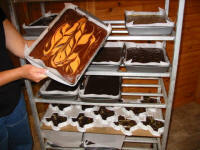 Our fudge is made fresh each week using real cream and real butter. Wild Horse Mountain Fudge always has 20 flavors or more for your selection - from the basic good old fashioned chocolate fudge to exotic flavors, like jalapeno and sherbet! We also have seasonal flavors like grape and watermelon, and even offer "sucrose free fudge" in several flavors for those on low-sugar diets. 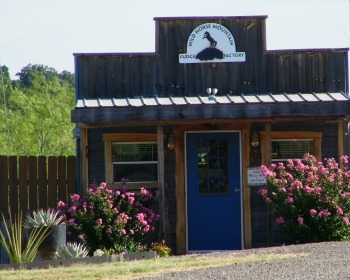 Wild Horse Mountain Boutique & Trading Post has a very nice selection of gift and holiday boxes on hand for all your gift giving special occasions.